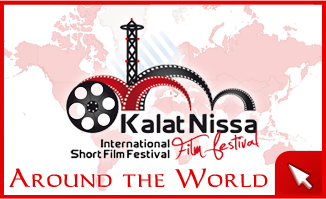 The international short film contest has been called "Kalat Nissa Film Festival" as a kind present to Caltanissetta. It reflects the ancient Arabic name of the city of Caltanissetta "Qal'at al-Nisa" (Women's castle). The festival is organized by Film and cultural Association “Laboratorio dei Sogni”, in collaboration with two colleges: the IISS "Sebastian Mottura" and the IPIA "Galileo Galilei". The festival has achieved: the following patronages: UPI (Union of Italian Provinces), the Sicilian Region, the Regional Province of Caltanissetta and the Pro Loco. The Festival has also had the Top Video “quality certification” by the national magazine "All Digital", which aims to inform about all those events which have been recognized those criteria of professionalism, competence and fairness requiring such certification. The event is aimed at enhancing and promoting the short film as a particularly incisive form of expression to develop the artistic languages of new media and to meet the needs of cultural growth of young talented directors, who continue to amaze us with their creative abilities . The Kalat Nyssa Film Festival is not meant to be only a competition, but as a real festival with the logic of an "interactive event." Photographic exhibitions, satirical comics, workshop, meetings with people in the worlds of the cinema and other events will be the setting for the Festival. 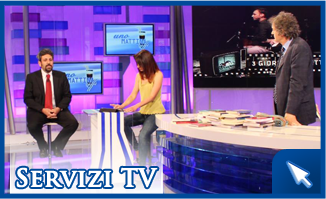 The Film and cultural Association “Laboratorio dei sogni” has received 232 short films from all over the world. A jury composed by: Maurizio Amici, Sandro Caiuli, Stefano Natale, Giancarlo Santi, Michele Sità (directors, technicians and film artists of national and international fame) has chosen the best short films and rewarded the final winner of the Festival.